SwitchResX can let you to create new resolutions or customize existing ones, to get a perfect screen experience. Your Mac doesn't let you choose your native screen display ? Your existing resolutions are either too small, or too big, but not what you really want ? 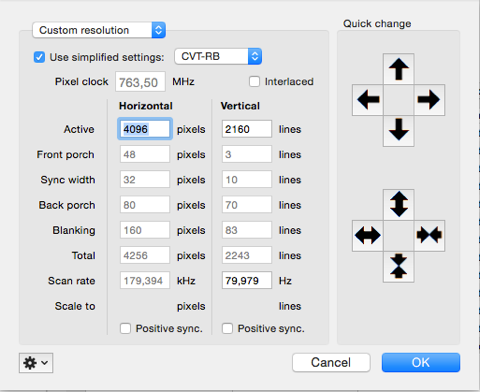 Just create your resolution, and let SwitchResX install it into MacOS X.